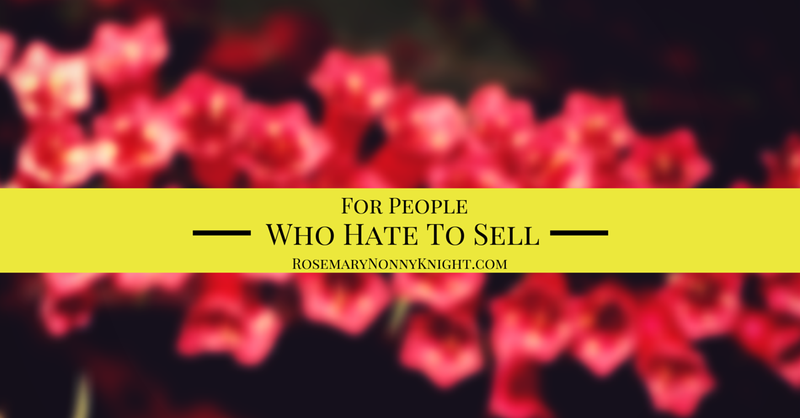 Whatever your story when it comes to building profitable business, most people hate to sell. I was one of those people as I discovered on my trip to the US in my first year at Uni. I went to sell books door to door but lasted all of 2 days or so before I went and took on 3 jobs rather than try to sell another thing! I have since dealt with most of my issues when it comes to selling but a lot of people keep thinking it is in some way pretty evil. And so they avoid it and if they are in business, it causes their business to flop, like it did mine! If they are in work, it causes them to be the first to be made redundant. After all, who wants to pay you to be unprofitable. A business without fresh sales is dead in the water, right? Well, for one, you need to get over it because the truth is, you cannot be in business without selling something! So, why not read a few books, do a course or something to improve your selling skills. More than that, remind yourself of how good your product or service is because if you know that you are serving someone by selling them something, what have you to be worried about? You learning to sell better means that you serve more people and when you serve more people, you make more money, right? Now, if you are convinced about the greatness of your product/service, can I make another suggestion to you? Learn how to use email marketing better! The thing about email marketing is that you can use it to say things to people that you may not have the courage to say to them face to face. You can create emails that help them realise that you understand exactly how they feel. You can come along side them and ask them questions and then when they respond, you can help them solve their problem, whatever it is. Every business owner can use email to sell their product/service/book and yet, lots of people do not use it. And they do not use it for the same reason that they are not making many sales. So, are you really ready to fight for the life and business you want? Because though there are no shortcuts, this is a skill anyone can master and your journey to mastery begins by upping your knowledge and taking immense action – Are you ready? Fight, fight, fight for the life & business you want!